About 27 million visit the website, but only 106,185 enroll in the first month, putting a statistic on the website’s disappointing technology flaws. WASHINGTON — Planting a paltry number on a national disappointment, the Obama administration revealed Wednesday that just 26,794 people enrolled for health insurance during the first, flawed month of operations for the federal “Obamacare” website. Adding in enrollment of more than 79,000 in the 14 states with their own websites, the nationwide number of 106,000 October sign-ups was barely one-fifth of what officials had projected — and a small fraction of the millions who have received widely publicized private coverage cancellations as a result of the federal law. The White House raced to reassure anxious Democrats who are worried about the controversial program, which they voted into existence three years ago and which seems sure to be a major issue in next year’s election campaigns. The administration, trying to regain the initiative, for the first time indicated a willingness to consider legislation to stave off the wave of cancellations that’s compounding the website technology problems. Some Democrats are seeking changes in Obama’s signature program, and key Republicans, many pressing for repeal, said that even Wednesday’s feeble sign-up figures appeared to be pumped up. The final number — 106,185 people — would be even smaller if it counted only those who finalized their enrollment by actually paying their first month’s premium, Republicans said. 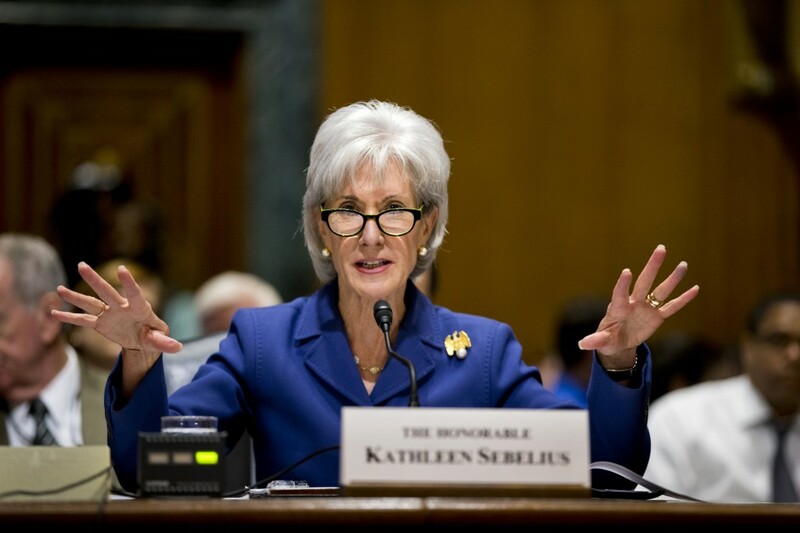 “Even with the issues we’ve had, the marketplace is working and people are enrolling,” Sebelius said. Responding to GOP critics, she said the first premiums are not due until Dec. 15. The online, state-level insurance markets were envisioned as the new portal to coverage for people who don’t have health plans on the job. But the federal market was overwhelmed by technical problems when it opened Oct. 1, and the experience of state-run markets has been mixed. The administration said an additional 1 million individuals have been found eligible to buy coverage on the markets, with about one-third qualifying for tax credits to reduce their premiums. Another 396,000 have been found eligible for Medicaid, the safety-net program that is shaping up as the health care law’s early success story. For many Democrats, concerns over the cascade of website problems has been compounded by the focus on Obama’s misleading promise that Americans who liked their health insurance plans could keep them under the overhaul. But millions of people are receiving cancellation notices. They have plans that for various reasons don’t qualify for the law’s “grandfather clause” protection against cancellations. Obama has said he’s sorry that people are losing their coverage and has vowed to find ways to address “holes and gaps” in the law. Advisers originally said the White House was considering administrative fixes, not legislative options. On Wednesday, Obama spokesman Jay Carney said, “If we can achieve this administratively, we will certainly look at that possibility,” but he added that the White House was also considering legislative ideas. Senate Majority Leader Harry Reid, D-Nev., scheduled an all-Democrats meeting Thursday with White House health care officials. Republicans, meanwhile, are holding hearings to keep the overhaul’s problems in the spotlight ahead of an election year. The administration has staked its credibility on turning the website around by the end of this month. From the president on down, officials have said that HealthCare.gov will be running smoothly for the vast majority of users by Nov. 30. They have not specified what “running smoothly” means. The day was another blow for the administration and its supporters in Congress, who had been counting on Obamacare as a neutral if not winning issue in next year’s midterm elections. Three more swing state Senate Democrats seeking re-election in 2014 signed onto legislation drafted by Sen. Mary Landrieu of Louisiana to ensure that anyone liking their current coverage would be able to keep it, an attempt to resolve the issue of cancellations. In the House, meanwhile, majority Republicans set a vote for Friday on legislation to permit insurance companies to continue selling existing policies that have been ordered scrapped because they fall short of coverage standards in the law. On daily media calls, Health and Human Services department officials have described a situation where problems get fixed and then new issues crop up as consumers are able to venture further into the website. It’s a bit like traffic heading back to a city late on a summer Sunday: You get past one jam, and odds are you run into another. There was a hopeful sign this Tuesday when Julie Bataille, HHS communications director for the rollout, said that 275,000 people who got hung up in the early days are being invited back to try to complete their applications. The administration is sending the email invitations in batches, so as not to risk any disruptions. 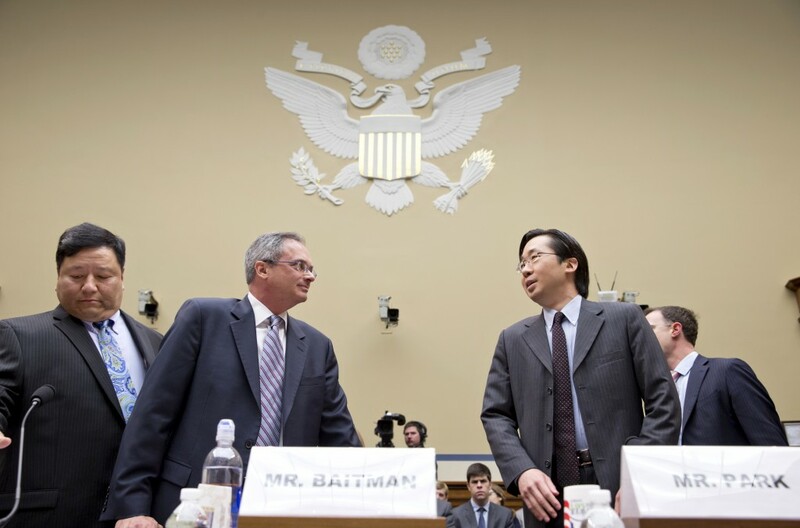 White House chief technology officer Todd Park told Congress on Wednesday that system response times are much faster, and error rates have plunged. It’s unlikely that Congress will let the website repairs flounder much beyond Nov. 30. Millions of lawmakers’ constituents who are losing current individual policies would have to select new plans by Dec. 15 to avoid a break in coverage. The main federal website is central because other enrollment routes, from call centers to counselors to paper applications received by mail, all depend on having that access. In Congress earlier Wednesday, the House’s chief investigator plunged into the technical issues behind the dysfunctional rollout. Rep. Darrell Issa, R-Calif., chairman of the House Oversight and Government Reform Committee, is investigating a long list of issues: insufficient testing, possible security flaws, design shortcomings — even allegations of political meddling. “Established best practices of our government were not used in this case,” said Issa. As a result, the law’s promise of affordable health insurance “does not exist today in a meaningful way.” Like other Republicans, Issa wants the law repealed, not fixed. Ranking Democrat Elijah Cummings of Maryland questioned Issa’s fairness.